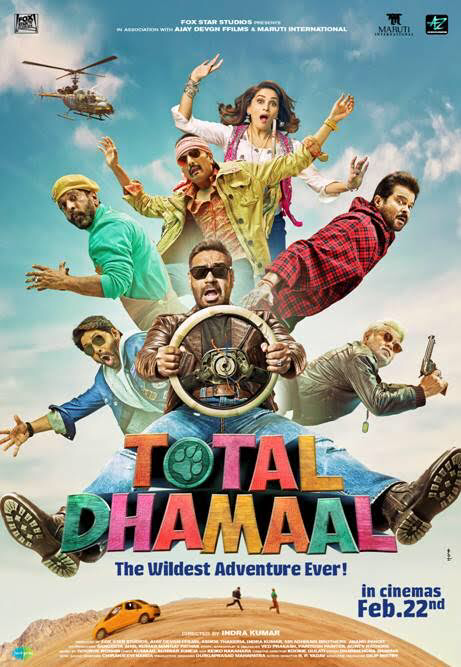 Promising mayhem and madness, the much-awaited trailer of director Indra Kumar’s Total Dhamaal has just dropped and from what we can see this film is one completely laugh out loud flick. The Anil Kapoor, Ajay Devgn, Madhuri Dixit, Arshad Warsi, Riteish Deshmukh, Johnny Lever and more starrer looks set to be hilarious as it promises to take audiences on a wild adventure that appears to based on a treasure heist of sorts. 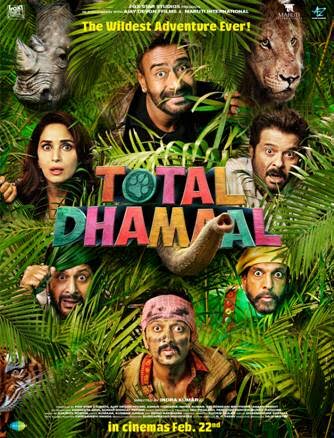 Total Dhamaal is a mad adventure comedy about money. Guddu (Ajay Devgn), a small time crook gets double-crossed by his own colleague, Pintu (Manoj Pahwa), after they have managed to get their hands on an illegal booty. Guddu and his sidekick Johnny (Sanjay Misra) manage to trace his colleague but only after Pintu has given the information of the booty to 3 other groups i.e. Avinash (Anil Kapoor) and Bindu (Madhuri Dixit Nene) – a bickering couple about to be divorced; Lallan (Riteish Deshmukh) and Jhingur (Pitobash Tripathy) – Fire Officers turned offenders and two weird siblings Aditya (Arshad Warsi) & Manav (Javed Jaffrey). All of them refuse Guddu’s offer to distribute the money and the race to reach the booty first begins. Finally after many ups & downs all reach the designated place. But it’s not as easy as it seems. Is there any truth about the hidden booty? Or all of them are being fooled? After a day full of life changing, near death experiences, will the adventure ever end or another one begin? Find out how the story concludes and if they are able to get the booty or not! 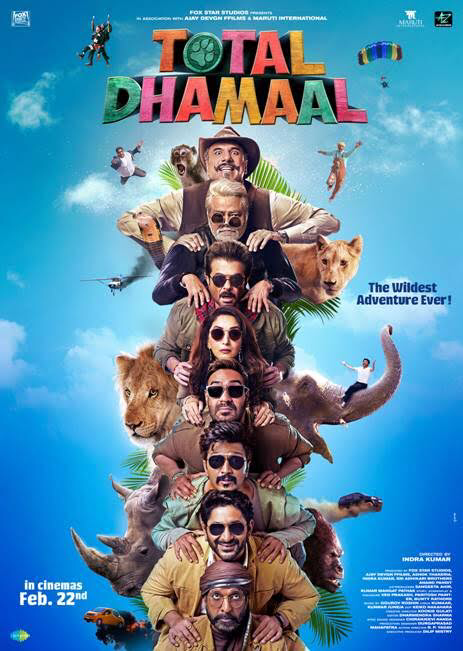 Total Dhamaal is set to release worldwide on 22nd February 2019.